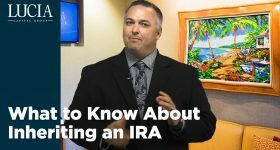 As some of you may know, during the year you turn 70 ½ years old, you may have to begin paying taxes on a certain portion of your tax-deferred retirement accounts. These are your Required Minimum Distributions (RMDs), and the penalty for not distributing at least the minimum is a big one: 50 percent of the shortfall. 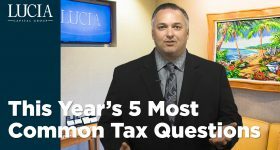 So since you’re obliged by tax law to remove this money from its pre-tax status and move it to the post-tax world, when should you consider taking it? 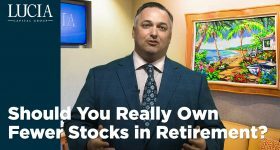 Generally speaking, if you don’t need the money and are only taking the distribution because Uncle Sam says so, it’s potentially more beneficial to do it in the early part of the calendar year than later on. But why? Why not postpone it until as late as possible? Because waiting to take the distribution offers no real advantage. The amount you’re required to take out is based on the previous year’s ending balance. It’s a done deal, and it’s based on the age you’ll attain this year. Let’s say that someone has a $10,000 RMD for this year. Where would they prefer to have any future growth occur – in their personal account, or in their IRA? If the growth happens in their personal account, and their $10,000 grew somehow to $12,000 during the year, that $2000 of growth is sitting unsold in their personal account – no taxes have to be paid yet. If their heirs inherit it, that growth receives a step-up in basis and they will not pay taxes on it either, if they sell it immediately. But if they’d left it in the IRA all year and if it grew there, and they took their $10,000 RMD at the end of the year, that $2000 of growth would become part of the balance for NEXT year’s RMD, making the RMD higher. And the tax treatment? Ordinary income, instead of the lower capital gains rate. If it’s passed on to the heirs that year, it will be taxed to them at ordinary income rates, instead of being tax free. What if the investment instead went down in value to $8,000? 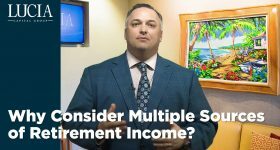 If it’s in a personal account, that individual can sell that security and use the $2,000 capital loss against other income – even against ordinary income (up to $3,000). This couldn’t be done if the money had stayed in the IRA. One more reason to take the RMD early – so you don’t forget about it! With penalties at 50 percent of the shortfall, that’s something you absolutely want to avoid. Taking it early in the year will eliminate that risk.